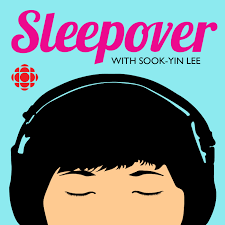 Sook-Yin Lee from CBC's "Sleepover" is my guest this week! We talk how this very unique show was born, what it's like producing it (including editing 24 hours of tape to a 90 minute presentation! ), feedback from previous guests of "Sleepover" and so much more! Sook-Yin is a creative tour-de-force and has great insights into the world of storytelling, journalism and more! You will love this show!